STEM and STEAM challenges with simple supplies are FUN in Preschool and Kindergarten, but they also invite kids to critical thinking in order to find a solution to a basic inquiry. 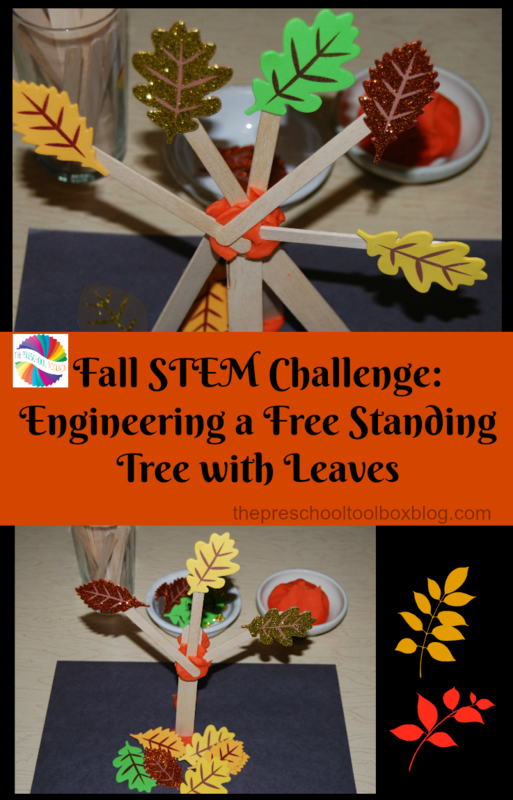 The fall STEAM challenge invites preschoolers to engineer a free-standing tree with leaves. 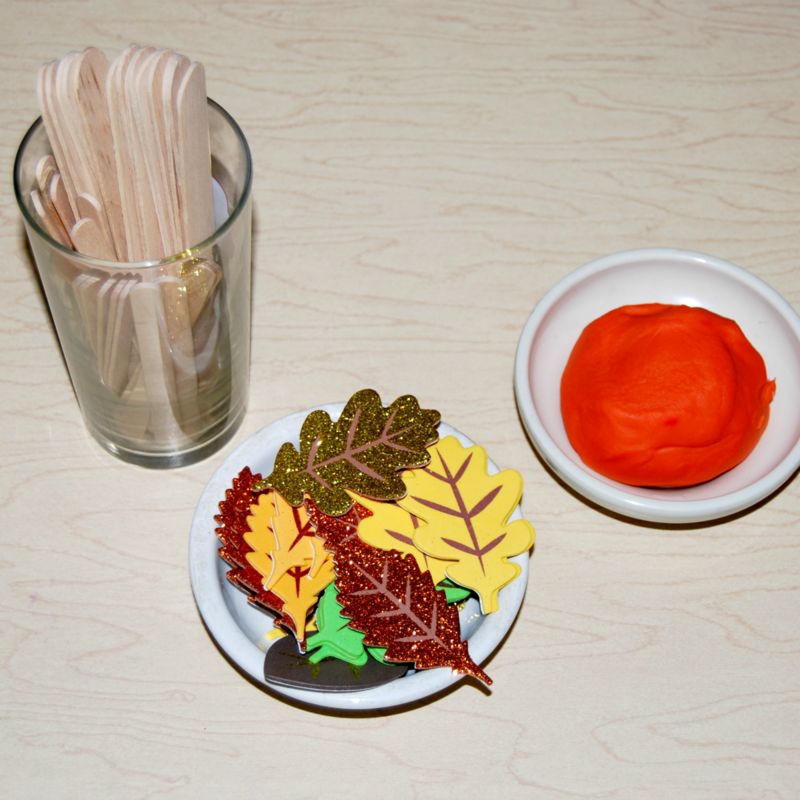 Whether your own kids are in childcare, in a Preschool or Kindergarten classroom or at home, they will love designing their own fall trees with leaves. 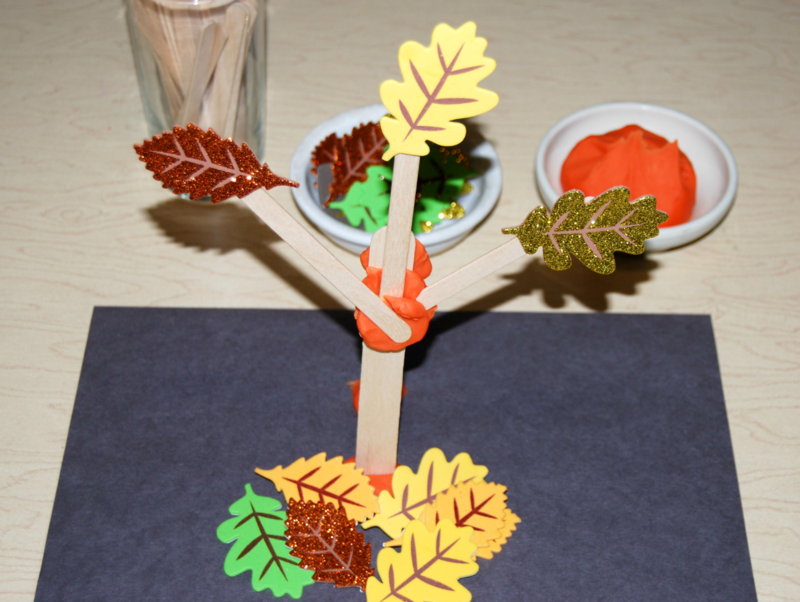 Lesson Objective: to invite kids to use STEAM skills (Science, Technology, Engineering, the Arts, and Math) to construct a free-standing fall tree with leaves from simple supplies. 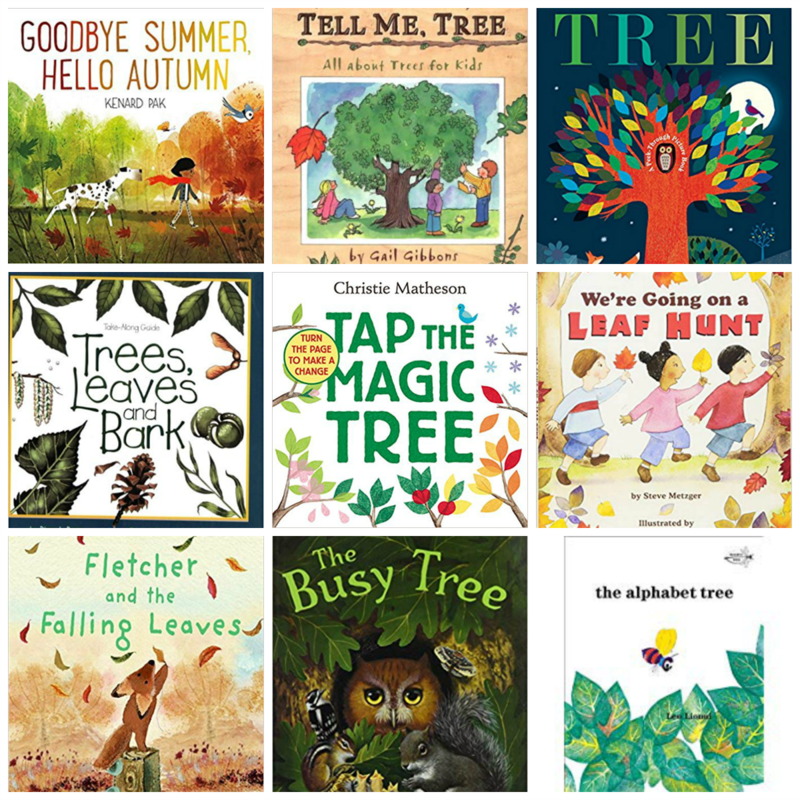 Prior to the Fall Free-Standing Tree with Leaves challenge, discuss the STEPS to STEM SUCCESS with your students. 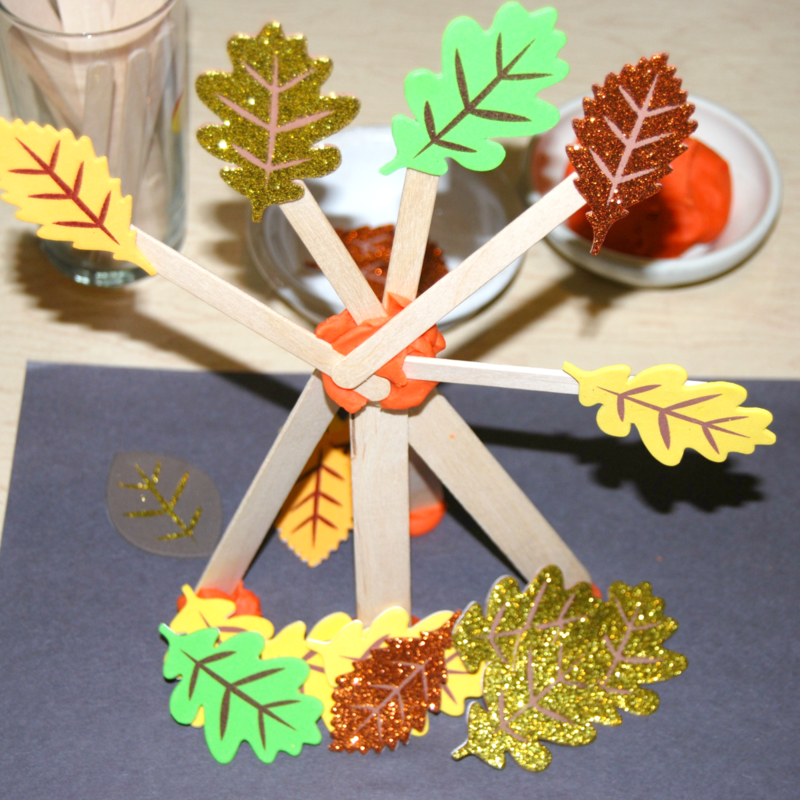 Kids are asked to design a free-standing fall tree with leaves using only the 3 given supplies. Preschoolers will ask questions about how to design their trees. Try to guide the kids through the steps above with open-ended questions to allow them to use critical thinking skills. 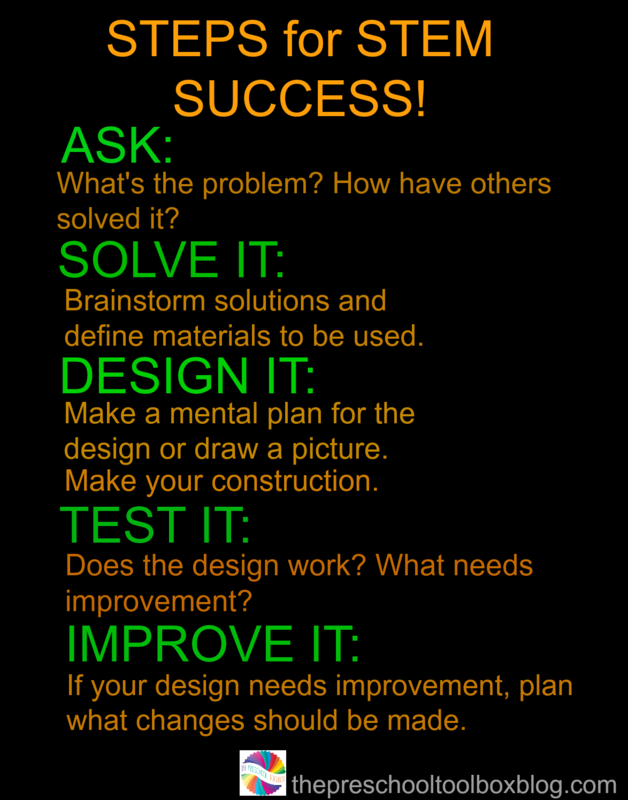 Remind students there is no wrong or right way to construct their trees. The trees with leaves must stand on their own without the aid of the kids when finished. Integrate technology and invite kids to take photos of the design process and final constructions for the free-standing tree with leaves challenge. The photos can be shown to parents through an online slideshow or they can be printed and make into a class book (note: these books are awesome to share with parents during fall parent-teacher conferences and to document skills). Kids also get new ideas and potential solutions for simple inquiries when they have a chance to look at photos of what worked during the challenge and any modifications to original designs that were made. Student Construction #1 – in the tree and leaves construction above, the student used play dough to hold the large craft stick upright. Smaller craft sticks became the branches. Initially, the construction toppled over with the weight on top. The student went back and placed another large craft stick behind the construction to support the tree (although a little hard to see in the photo above, it’s there). Student Construction #2 – the student began with a “tee-pee” design to the base of her fall tree. Each of 4 large craft sticks support the weight of the smaller craft sticks and the leaves on top. It’s awesome to observe preschoolers thinking, talking, designing, creating, and improving their fall tree and leaves constructions. Engineering with simple supplies leads to big learning opportunities through play. We hope your own kids will enjoy the challenge this fall. 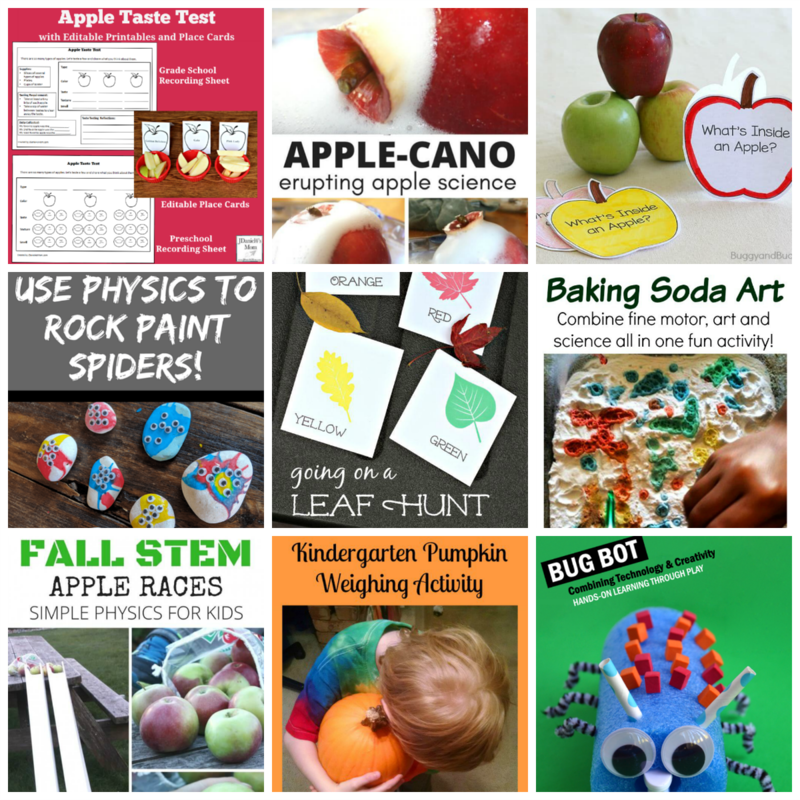 For an entire month of learning through play, the Fall Thematic Unit is available for immediate digital download right here on the blog. 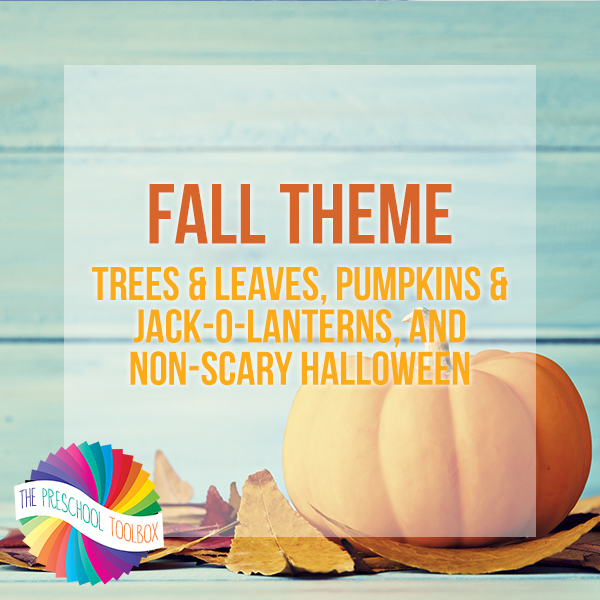 It is a one-stop theme for trees and leaves, pumpkins and jack-o-lanterns, general fall, and Non-Scary Halloween activities across all learning areas for use at home or in the classroom. « All About Me Activities for the Start of Preschool!